Hello Dreamer!! : Day 2: Sagada's Cave Connection, Beat it! 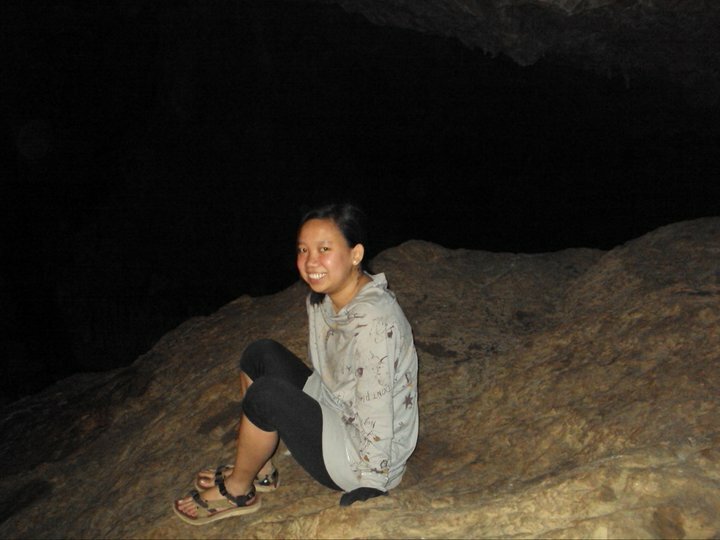 Day 2: Sagada's Cave Connection, Beat it! Day 2: Let's Get it on, Echo Valley! 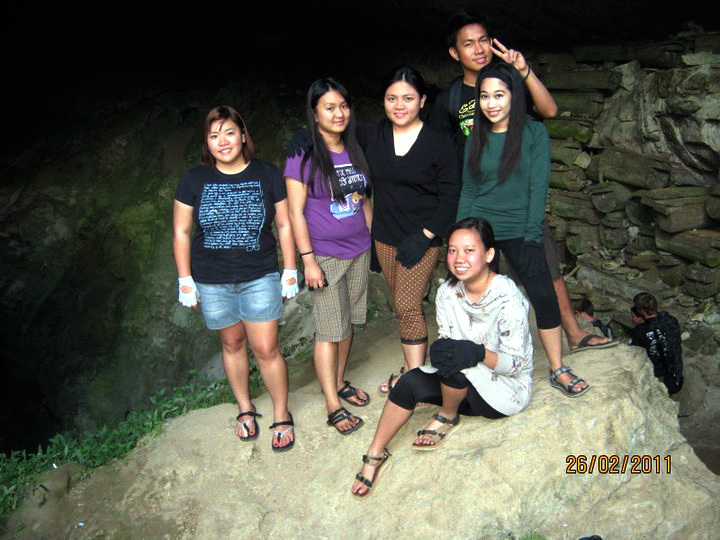 I was half-a-mind in going to Sagada. You know, I've been wanting to try the cave connection, well, proof is my 26 before 26 goals. 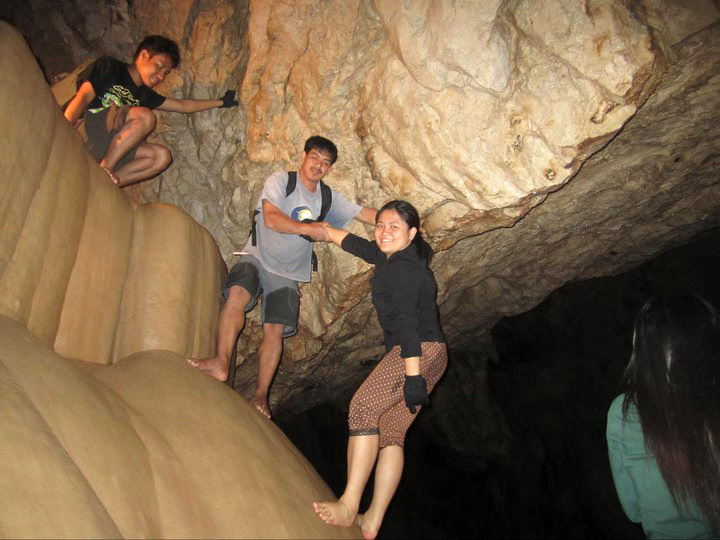 BUT I've also been quite scared to try it especially after the Batulao brouhaha. We scheduled our cave connection on the second day - after the very tiring Echo Valley trip. I've read somewhere that the cave connection is recommended on the afternoon. 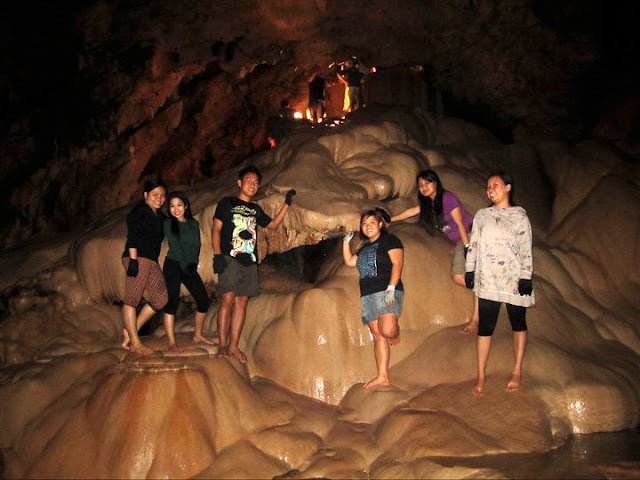 Kuya Oscar said that there should be one tour guide per 3 pax. 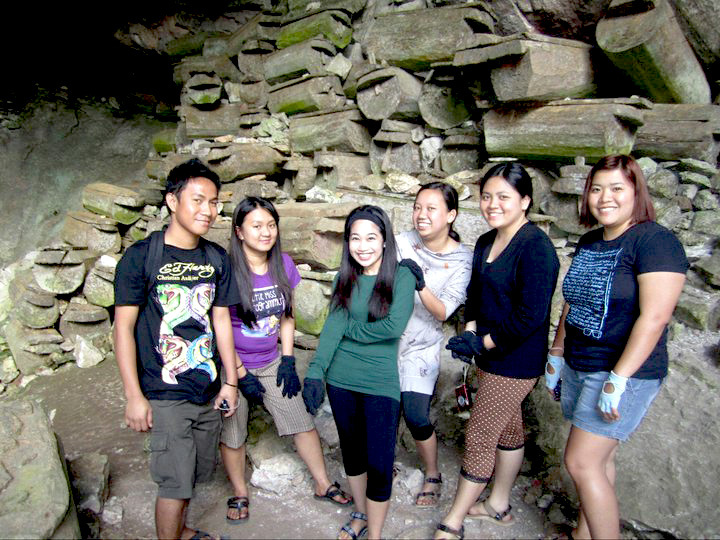 We were six, so Kuya Erick (but he was 6 years younger!!) was our other guide. We already wore our 15php-worth of gloves. Excitement eh. Chos lang talaga! Haha! 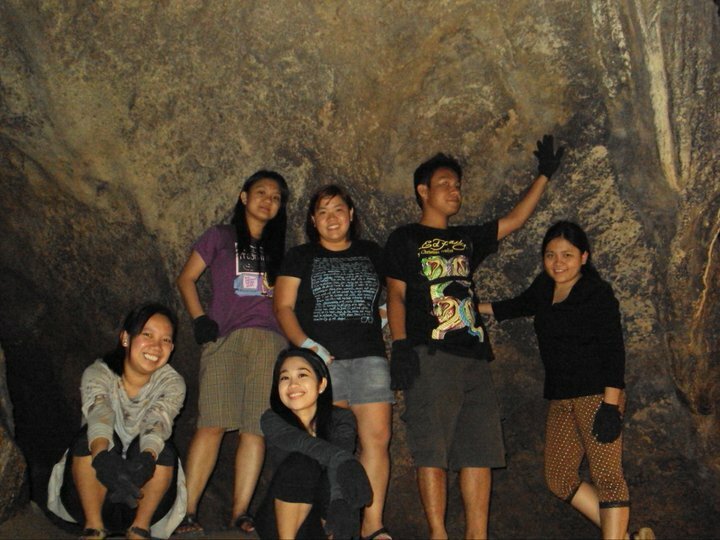 Then, Kuya Erick showed us the Lumiang Burial Cave. 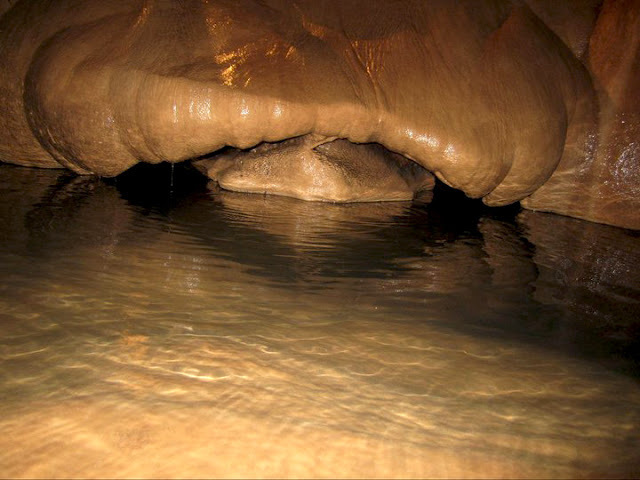 This is also the entrance for the cave connection. So we went inside to start our adventure. 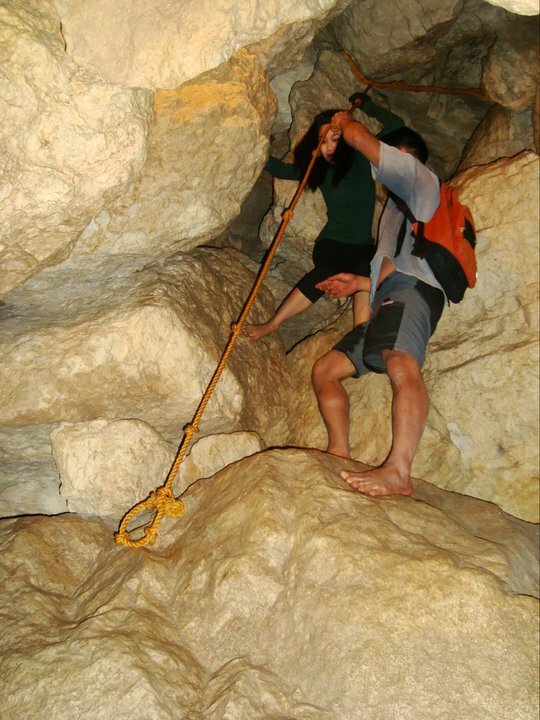 For our first stop, we were barefoot because we needed to go down by the rope. Then, I had my first slip. Tsk. I needed to put my foot on the surface but I lose my footing.Thank you, Kuya Oscar for saving my life. Haha. I profusely apologized after that. I felt that I was careless. My friends didn't know what happened. I just told Apple and Silina when we got back in the house. 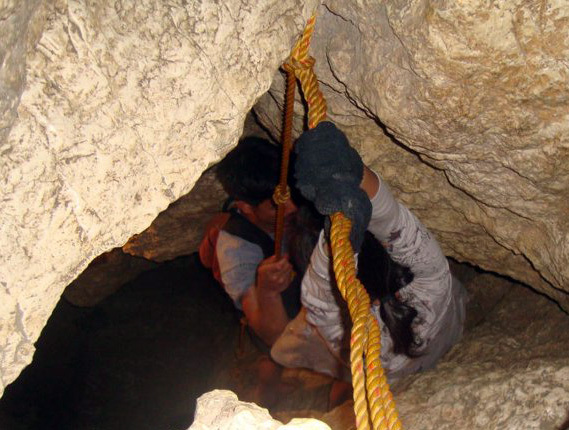 There were instances that we had to use rope. Or perhaps try this technique? 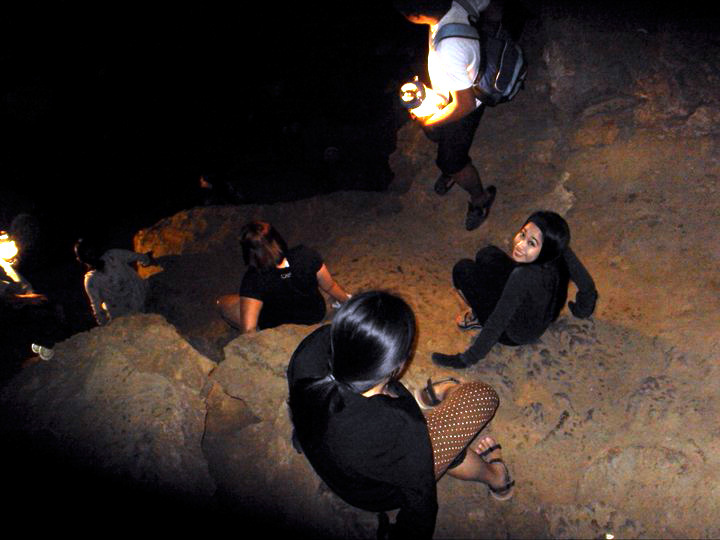 And then there were instances that we had to go down, and it totally freaked me out that I couldn't see anything but darkness. But Kuya Oscar and Kuya Erick knew our weakness. Photo op!! Lol. And that made us smile again. 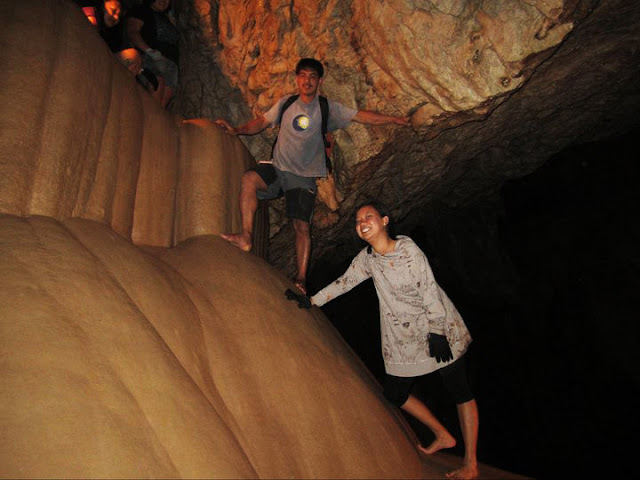 You'll know that you're in the Sumaging Cave when you see the beautiful rock formations. 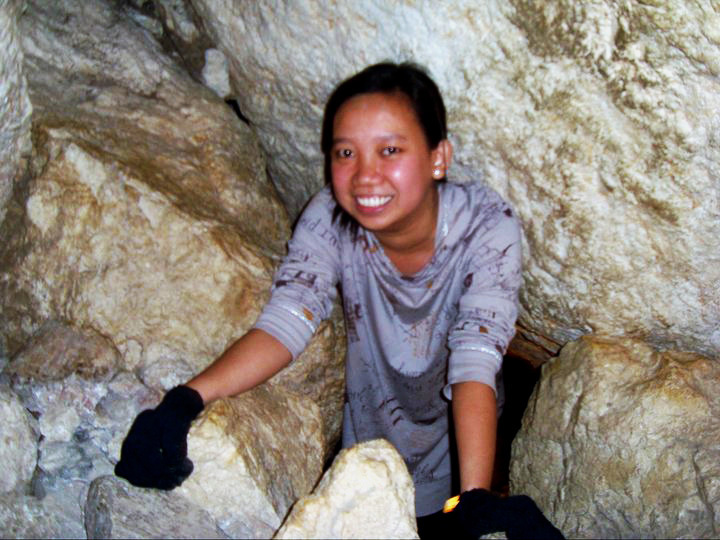 I think, spelunking the Lumiang Cave is way harder than the Sumaging Cave. 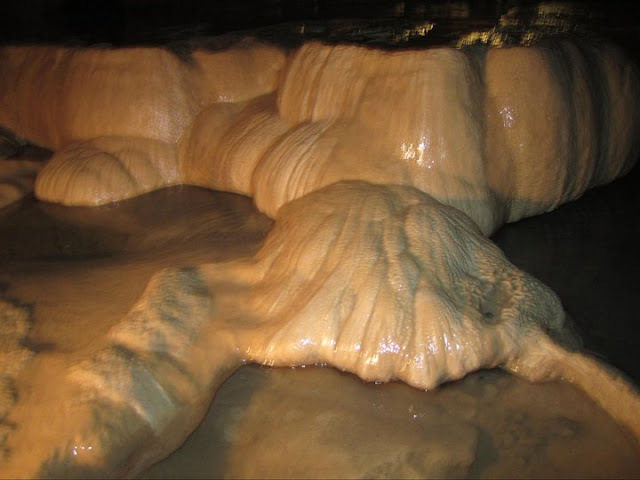 The rock formations look slippery but they're not. But there were still instances that we had to use rope in Sumaging. Apple again? Well, she brought her personal photographer! Peace! Or what about the guide playing the rope? Honestly, there were instances that they do that. We also had to stepped on them on several instances to be able to get to another level. Oh no, not just on their thighs, but also at their backs. In Sumaging Cave also, you'll get wet here and there. But no complaints, really. Sumaging is breathtaking. What is this formation again? 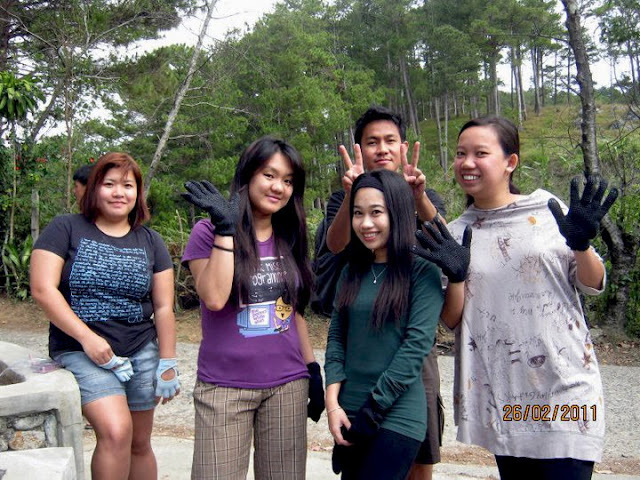 Haggardness to the next level! According to Kuya Oscar, we have to use our imagination inside the Sumaging Cave to better appreciate the rock formations. And the background is.. use your imagination! 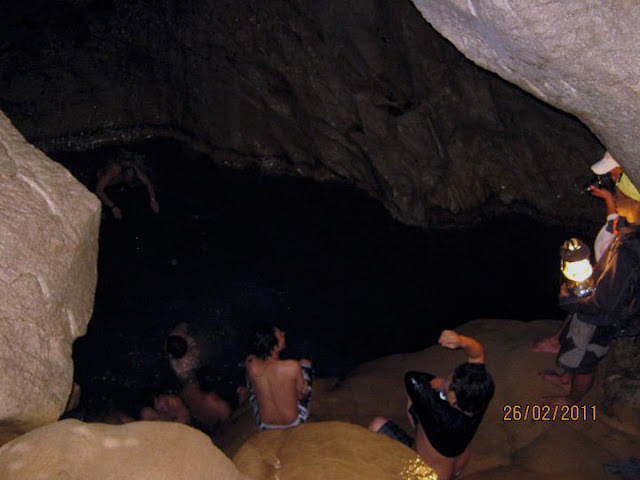 We were almost at the end of the spelunking activity when we saw these guys taking a dip on the uber cold water. And they said, we were almost there. But the almost there took us around 500 more steps. It was very exhausting. 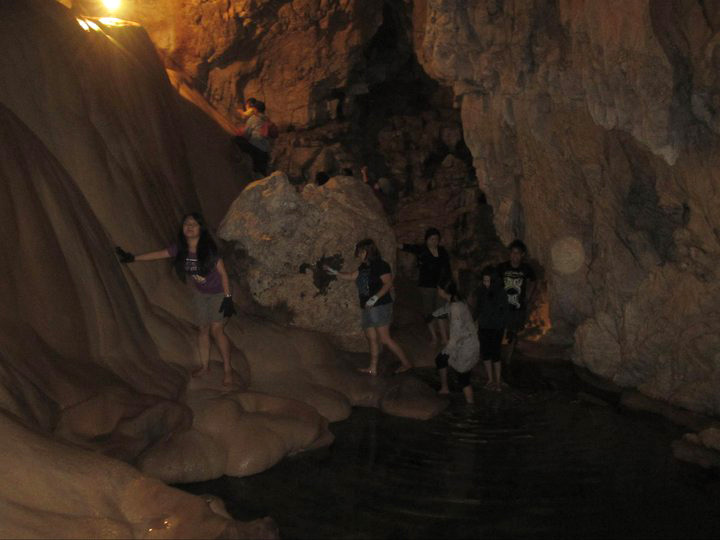 I remember gulping for air. 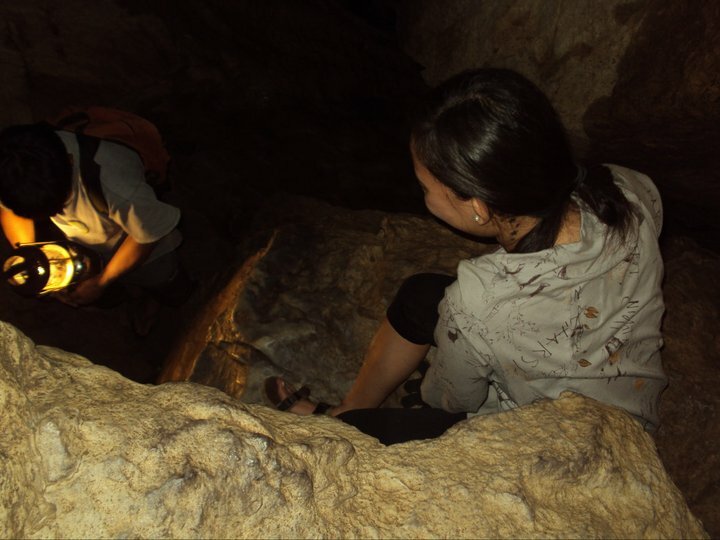 Just when I thought that I was still inside the cave, I saw stars the moment I looked up. It was beautifuI, so Hogwarts. I was the last to finish together with Jen and Juni. We were salivating the experience. Chos! 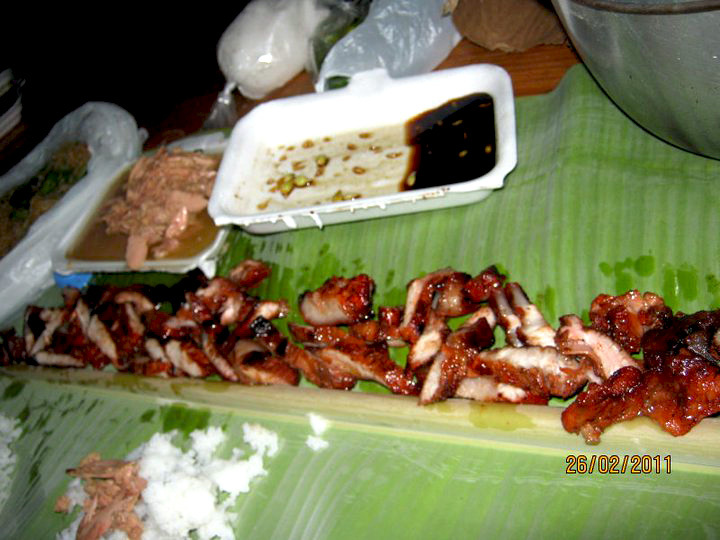 We were rewarded with a hearty meal courtesy of Kuya Lando. Thanks po! 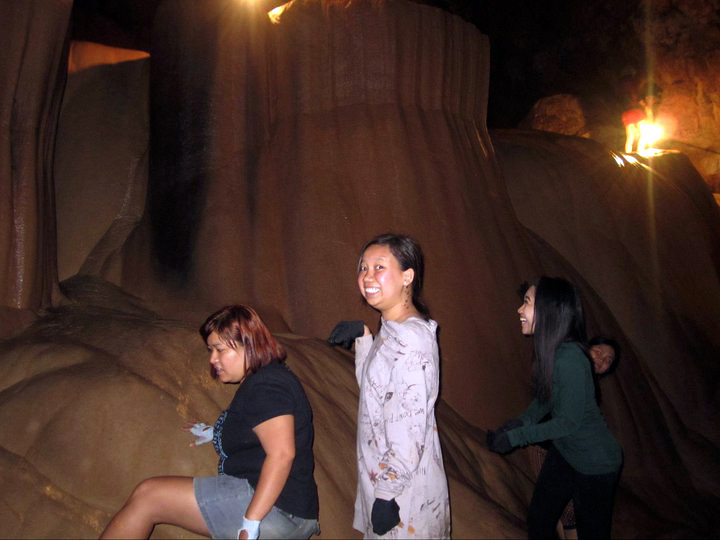 It took us around 4.5 to 5 hours to finish the cave connection. Not bad. I'm not in a hurry anyway. 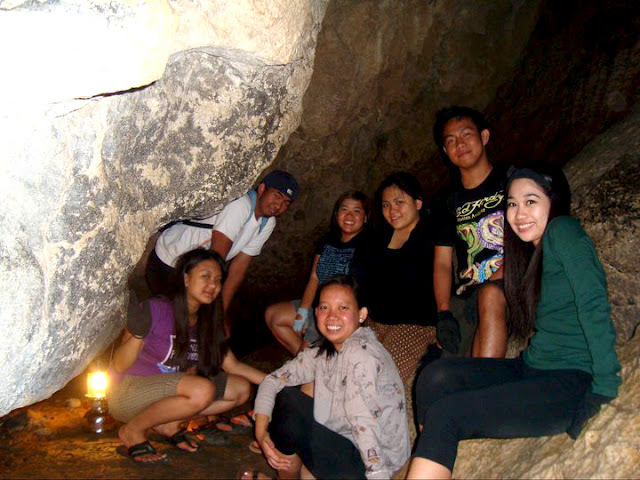 Cave connection is fun especially if you're with your friends. 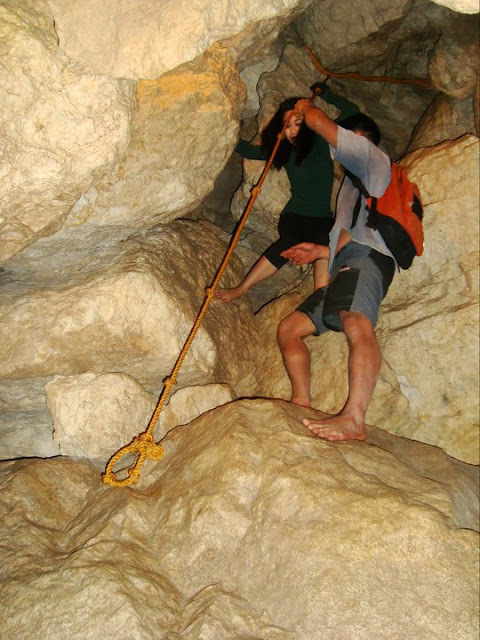 But it is also little difficult and a little scary since there is really no safety gear. Only little? Haha. Well, for a scared cat like me, hmmmm, gumapang ako sa hirap!!! OMG it looks scary down there! but the water is amazing! lucky u! You're so brave sis. I'm not so adventurous when it comes to caves. 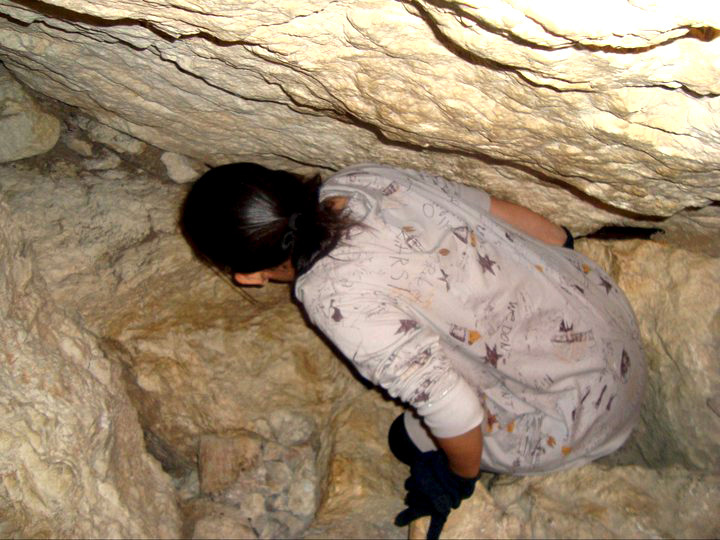 There's something about being in an enclosed space. Ang saya naman sis. 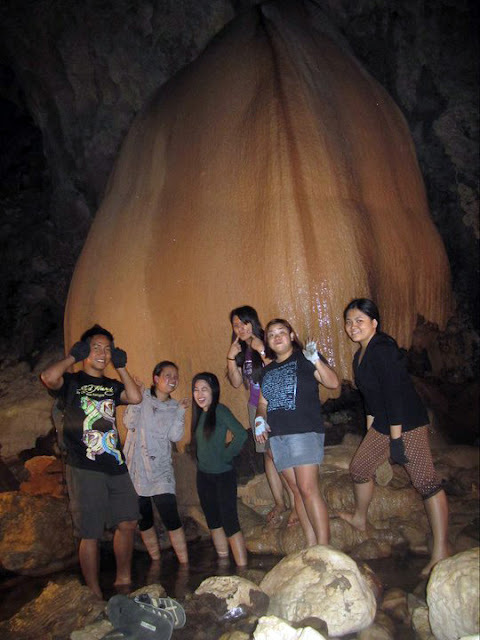 Ang ganda ng rock formations. @ T.R Aurelius In fairness, maganda nga sa loob. @ Khantotantra Haha. Oo nga, noh. Para ngang icing. 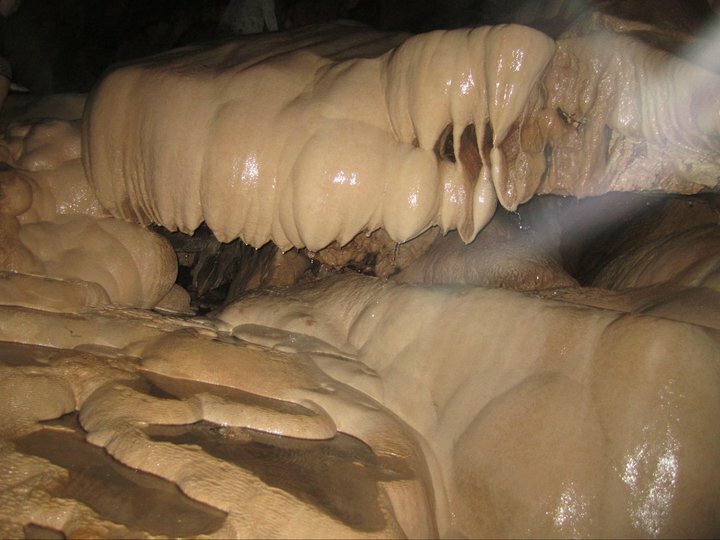 Ang ganda... sana mapunta din ako jan!